When it comes to the investment banking career path, there’s a fitting analogy: a fraternity house. Just like a fraternity, investment banking offers a clear hierarchy, certain rituals you must complete, and benefits and added responsibilities at each level. And, as with a fraternity – or the mafia – you may also run into serious problems if you stay “in the business” for too long. In this article, we’ll cover the advantages and disadvantages of the investment banking career path, including the work, hierarchy, promotions, career path, lifestyle, hours, and exit opportunities at each level. Investment bankers advise companies on large, corporate-level transactions such as mergers and acquisitions and debt and equity issuances. The role is part advice, part sales and marketing, and part negotiation and deal-making – on a grand scale. For more, please see our articles on mergers and acquisitions, pitch books, and how you win deals as a Managing Director. Why A Career In Investment Banking? Many people are drawn to the investment banking career path for the money: even at the mid-levels, you’ll be in the top 1% of income earners in most states and countries. Others are attracted by the excitement of deals and high-stakes negotiations with important people such as CEOs and Board Chairs; some are fascinated by deal mechanics as well. And still others are attracted to investment banking careers because of the exit opportunities, particularly the ones available to junior bankers such as Analysts and Associates. Competitive, high achievers who are willing to work long, grinding hours. Solid in terms of reading/writing and math, though not necessarily amazing in either area, as little “real math” is required. Interested in deals rather than simply following the markets or investing in public companies or other assets. Interested in a specific exit opportunity that normally has investment banking as a prerequisite, such as private equity or corporate development. Junior investment bankers are usually (but not always) recent graduates from top universities, such as the Ivy League in the U.S. or schools like Cambridge and Oxford in the U.K. They complete finance-related internships during undergrad, intern at a large investment bank, and then win a full-time return offer from that bank. Outside of that, you can also get in if you’re working full-time in a related field, such as valuation at a Big 4 firm or corporate banking. And you can break in at the MBA level if you’re at a top business school and you have the right work experience. Something “interesting” that makes you appear like a human rather than a robot. Much later on – If you’re already a C-level executive in another industry, for example. There are some variations and slightly different titles, but this is the basic investment banking career path. We’ll look at each level in detail below (see the investment banking internship guide for more on the Intern or Summer Intern level). NOTE: The descriptions, salaries, and bonuses below refer to front-office roles in investment banking, not to the back or middle office, which are supporting functions. Also, the compensation figures are based on pay in the U.S., and specifically at large banks in New York. Pay will be lower, sometimes significantly lower, in other regions – yes, even in London – and at smaller banks. For more, please see our coverage of investment banker salaries. As an Analyst, you’re in charge of Excel and PowerPoint work and administrative tasks such as tracking buyers and sellers, managing the data room and deal documents, and responding to requests from clients and potential clients. To get a flavor of the work and what an average day is like, see the articles on a day in the life of an investment banking analyst, mergers & acquisitions, and investment banking pitch books. Age Range: Most full-time Analysts have just finished undergrad, while some have completed Master’s programs, military service, or another full-time role, so we’ll say 22-27. Investment Banking Analyst Salary + Bonus: This varies from year to year, but base salaries tend to be just below $100K USD at large banks, with bonuses that are roughly 0.5x to 1.0x that base salary. Total compensation is often in the $150K – $200K range. You’ll work less on weekends, and sometimes you’ll get a protected weekend where you get Friday night into Saturday off. A long time ago, some groups were known for making Analysts work consistent 90-100+ hour workweeks, but that is rare now. Promotion Time: Traditionally, it took 3 years to be promoted to Associate, but many banks have cut this time to incentivize long-term employment, so now it’s more like 2.0 or 2.5 years; we’ll say 2-3 years to be conservative. Investment Banking Analyst Exit Opportunities: As an Analyst at a large bank, you have access to the full set of investment banking exit opportunities: private equity, hedge funds, asset management, corporate finance, corporate development, venture capital, and more. At smaller banks, your opportunities will be more limited to other banks, corporate finance, and corporate development roles. As an Associate, you are a better-trained monkey who has more life experience, earns more, and does work that’s a bit more interesting. The Analyst on the team will do much of the grunt work, but the Associate assigns the work, checks it, and occasionally jumps in to do some Excel and PowerPoint, especially in more complex presentations and models. Associates also attend more meetings and have more client interaction, though they’re unlikely to have “speaking roles” in most meetings. Some Associates are recruited out of top MBA programs, while others are Analyst promotes. Rarely do Associates get recruited from completely different industries. Traditionally, Associates were seen as long-term hires at the bank, while Analysts usually left after a few years, but banks have been trying to change that by encouraging Analysts to stay longer (results are TBD). Age Range: Associates come from more diverse backgrounds, so 25-35 is the safest bet for the age range. It would be virtually impossible to become an IB Associate much before 25 unless you graduated university at age 18 or 20. Investment Banking Associate Salary + Bonus: Associates tend to earn between $250K and $400K USD for total compensation, with base salaries progressing up from $140K to $180K at large banks. Expect significantly lower bonuses at smaller banks. Investment Banking Associate Hours: The average is more like 65-80 hours per week because you don’t get called in for quite as many last-minute emergencies. Promotion Time: If you perform well, it might take 3-4 years to reach the next level of Vice President. However, it’s harder to get promoted to VP because the bank might not need another VP right away, or it might be skeptical of your ability to become a rainmaker eventually. Investment Banking Associate Exit Opportunities: Investment banking associate exit opportunities are more limited. Headhunters will not actively court you in the on-cycle private equity recruiting process, as they do for Analysts at large banks, so you need to be far more proactive. Corporate finance careers or corporate development careers are always options, but if you want PE or HF roles, you’ll need to be extremely targeted and proactive to have a good shot, and you’ll almost certainly have to focus on smaller firms. VPs assume more of a “project management” role and do not get into the weeds in the same way as Analysts and Associates. VPs communicate with the Directors and Managing Directors, interpret their requests, and then work with Associates and Analysts to implement those requests and check their work. For example, if an MD wants to pitch a potential client on a certain deal, the VP will find out what he wants and then give the Associate and Analyst instructions to complete it. VPs get far more client interaction, and they might do things such as calling potential buyers to pitch a client that the bank is selling – whereas Analysts and Associates would seldom do that (if ever). Over time, Vice Presidents also start developing relationships and winning clients. 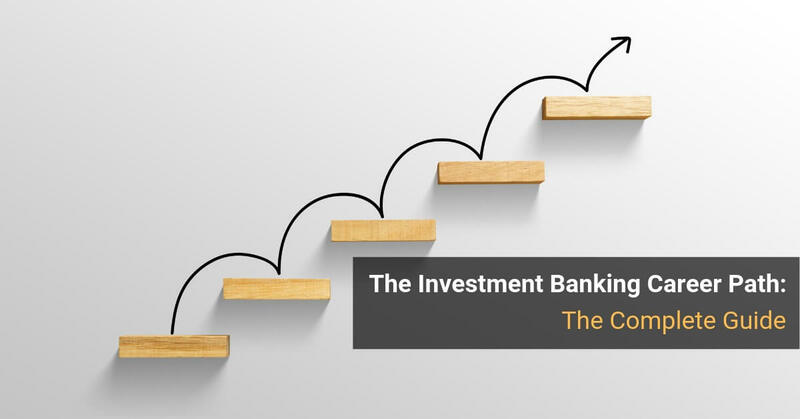 Being an investment banking VP is arguably the toughest job in the industry because you need to balance deal pitching and execution with relationship development, and that is a precarious juggling act. Age Range: It’s probably more like 28-40 here since you must have been an Associate first; hardly anyone gets in from outside the industry. Investment Banking VP Salary + Bonus: Base salaries range from $200K to $300K USD, with total compensation in the $450K to $700K range at large banks. Investment Banking VP Hours: Average hours at this level are around 55-70 per week, mostly because the work shifts to project management rather than last-minute presentations and requests. Promotion Time: It usually takes 3-4 years to be promoted to Director, assuming you perform well. But it’s very easy to get “stuck” at the VP level or forced out if you don’t show that you have what it takes to become a rainmaker. Investment Banking VP Exit Opportunities: They’re even more limited than the ones for Associates. You’re not going to win a traditional private equity or hedge fund role at this level, so you either switch banks, move into corporate development, or go into a completely different field. And “switching industries” often means significantly lower pay, so VPs might have trouble justifying the change. Why is Everyone at a Bank a Vice President? This happens because banks like to give employees the feeling of advancement and promotion, without necessarily offering them true advancement or a pathway to the top. The title of “Vice President” means far less at a bank than it does at, say, a Fortune 500 company, where VPs have huge decision-making power and seniority. This level is a mix between what VPs and MDs do, and the role differs depending on the bank and group. Sometimes Directors focus on developing relationships and winning clients, and other times they do more execution work and project management like VPs. But no matter what a Director does, he/she will have to move closer to winning clients to advance to the next level: Managing Director. Age Range: You must have been an Associate and VP to get here, so the minimum age is probably in the low 30’s. We’ll say 32-45, with 45 on the high end and plausible mostly if you went to business school late. Investment Banking Director Salary + Bonus: There’s a bit of a bump over VP-level compensation, but not necessarily a dramatic one; the typical range for total compensation might be $500K to $1 million per year, with the majority in the bonus. Investment Banking Director Hours: The hours drop to around 50-60 per week, but required work travel picks up. Promotion Time: It’s probably an average of 2-3 years to get promoted to Managing Director, assuming you perform well enough to justify it. If you’ve developed more of a Rolodex, you might be able to move into a buy-side role such as private equity, but it’s still very rare. Most private equity firms like to hire bankers at an early stage and then develop them over time; they view mid-level hiring as a bit awkward. Managing Directors have one goal: to make it rain. They spend their time winning clients, meeting companies, and developing relationships, and they’re on the road doing that much of the time. The MD is the King of the Jungle, and all the lower-tier monkeys answer to the MD and do his/her bidding. Sometimes MDs get involved in deal negotiations, especially for very important deals or ones where they have special relationships, but otherwise, they focus on winning deals. Age Range: It’s nearly impossible to reach this level before your early 30’s, so we’ll say 35-50 for the range. Few MDs continue working until the official retirement age (65-70); it’s a stressful, high-pressure job, and past a certain net worth, it’s just not worth it. Investment Banking Managing Director Salary + Bonus: Base salaries are in the mid-six-figure range, with total compensation in the high six figures to low seven figures. An MD doing decently should earn at least $1 million per year, and sometimes a low multiple of that. A normal MD is unlikely to earn, say, $10 or $20 million in one year; the MD would need to be even more senior (e.g., Group Head) or in a buy-side role for that to be plausible. Investment Banking Managing Director Hours: Similar to Directors, the hours are in the 50-60 per week range, but with even more travel time now. Promotion Time: There are levels beyond “normal MD,” such as Group Head and COO and CEO, but there’s no set path to reaching them and no set time frame. It’s not as much of an up-or-out culture at this level, so banks will keep you around as an MD as long as you keep producing clients, deals, and fees for them. Investment Banking Managing Director Exit Opportunities: At this level, you might be able to move around and win other high-level jobs at companies or possibly even in private equity or other buy-side roles. You can do that because everything is sales at the highest levels; a deep Rolodex is useful in many fields. However, most MDs who leave willingly do so because they want to do something different: they retire early, focus on family, or explore an interest or hobby. As stated above, there are roles beyond the Managing Director level: Senior Managing Director, Group Head, CEO or COO, and so on. Similar hierarchies and career paths also exist in buy-side roles such as private equity. There’s limited data on these roles, so we won’t cover them in depth in this article. Suffice to say, however, that these very senior levels are 100% results-driven. For example, to reach the top in venture capital or private equity, you need a track record of investments that have yielded solid realized gains. If not, you’ll get stuck in the mid-levels and eventually forced out. High salaries and bonuses at all levels. Potential for quick advancement up the ladder if you perform well. Access to top-notch exit opportunities, especially as an Analyst. Industry is unlikely to be disrupted by technology because at the top levels, it’s a relationship-based sales role. Exposure to many different companies, industries, and management teams. You gain useful hard and soft skills that apply broadly to different industries and companies. Advancement is directly linked to your performance and contributions, especially as you move up. Terrible work/life balance and brutal hours; even at the top levels, the lifestyle isn’t great since you’ll have to travel a lot more. Often boring, repetitive work and lots of downtime where you’re waiting around for other people. Easy to get “stuck in the middle” and not be good enough to advance to the top. More limited exit opportunities if you try to leave the field in the mid-levels. You do nothing useful for the world and make no positive social impact unless you get rich enough to donate to charities. Extremely tough to get into the industry if you get a late start, you’re a career changer, or you attend a non-target school. So, is investment banking right for you? There’s no universal answer, but if you want to make a decision, imagine a fraternity house with piles of money that gradually increase in size as you walk up the stairs. If you can tolerate enough hazing and abuse to make it all the way up without passing out or dying of alcohol poisoning, you might just be a banker. Great article and thanks for the TV series article you released a couple weeks ago, big fan of Succession now. I had 2 questions for you. students/analysts are in the market right now? Second, as someone who is interning in IB this summer, I am a bit concerned about a potential recession. What would your biggest tip be for somebody looking for FT work in that environment? Are the typical strategies you write with regards to receiving FT offers still valid in a recession? Would you target different lines of work outside capital markets? I’m specifically talking about recruiting during a recession, not receiving a FT offer from you SA position. Thanks. I don’t know that there’s a clear, directly competitive alternative to IB that still offers all the same benefits. It’s more that there are other non-finance opportunities that might also be appealing, such as programming at big tech companies, data science, etc. The mid-term and long-term compensation are lower in those unless you become very senior at a big company or get lucky with a startup that becomes massive, but at the entry levels, the pay might be the same or higher with a better lifestyle. You could also argue that the buy-side firms hiring students right out of undergrad are the biggest competitors to banks, but I’m not sure that’s big enough to make an impact yet. Recessions are tough to predict, and everyone, including me, has been wrong about the next recession multiple times now. So… I don’t think you can do anything specific, but if you’re interning in IB this year, you just have to focus on winning the full-time return offer at the end. All you can really do to improve your chances is to target counter-cyclical groups like Restructuring or ones that are resilient to downturns, like Healthcare or Power/Utilities. If you want to work in finance, I don’t think you should change your entire strategy just because a recession may be coming – as it will be much tougher to get in later on if you do something else first and then try to move back to it. If you don’t receive a return offer and you therefore need to look for FT roles, just focus on the types of groups above or maybe go slightly outside banking and think about Big 4 or other roles where you can still use similar skills, but where the firm may not be affected as badly.